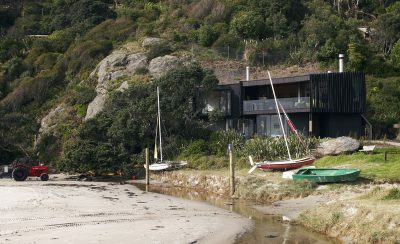 The house is located on a large coastal site on Waiheke Island. The client required a four bedroom house with generous living areas, an art gallery and an artist’s studio. 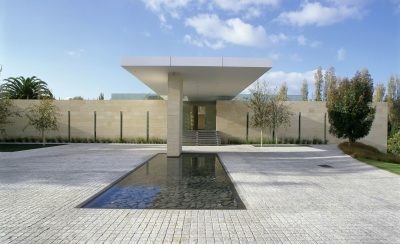 The house has a cruciform plan with wings stretching out into the landscape and forming four partially open courtyards; an entry court, a service court, a morning terrace which looks out to a hill, and an afternoon court with landscaped terraces which look out to the sea. Formally the house is a composition of box-like forms and floating planar roofs. It has an austerity inspired by the stony batter fortification on the island and is anchored into the earth with the terrace walls. The materials are raw and textured, giving an earthy quality to the bold geometric forms. 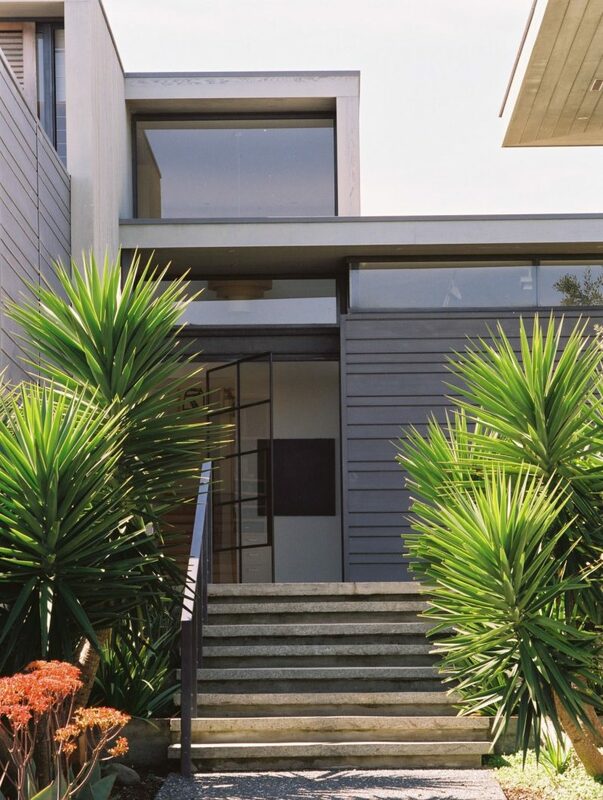 Concrete, zinc and stained cedar form a subtly contrasting palette. The interior spaces are arranged to capture views and sunlight and form a meandering open plan.